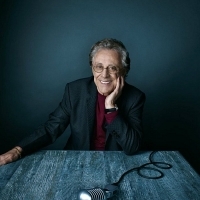 American pop-soul outfit fronted by falsetto-voiced Frankie Valli. Since the '60s, they have scored around 30 hits including 'Big Girls Don't Cry', 'Walk Like a Man' and 'December 1963 (Oh, What A Night)'. As a solo artist, Valli topped the US charts with 'My Eyes Adored You' and 'Grease', the latter from the 1978 film of the same name. The Frankie Valli Story - Jersey Boy!